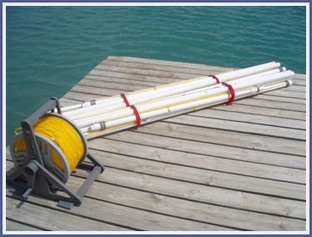 Model #101 - 6 buoy course with poly rope mainline. Slalom course as shown. You provide the buoys and anchors (not included).